Casa de Paz's 7th Birthday Party With Us! Let's go watch an inspiring movie about an immigration lawyer fighting for the rights of asylum seekers to celebrate Casa de Paz turning seven years old!! The movie tickets are on us, our way of saying THANK YOU for being part of the Casa de Paz family!! Baby Estefany's father was deported just a few days after she was born. On Saturday, February 23rd @ noon we are coming together for our Launch Lunch where we are introducing three new teams for you to volunteer in: admin, special events and outreach. This year we are inviting you to join in our work in a new way. We have decided to form volunteer teams that can go beyond direct services and help Casa de Paz operate better, grow larger and take our mission to the next level. To learn more about our plans for these teams check out this flyer. Then fill out this short Volunteer Appreciation Survey to RSVP for the lunch (or express interest in joining a team if you can't make the lunch). Also in the survey we ask what makes you feel loved and appreciated because that matters to us! After over three years of being separated, Oliver's family is finally reunited!! Many of you know Oliver was released from immigrant detention a couple years ago after winning asylum and now lives at Casa de Paz with me taking care of our guests and volunteers. Last Thursday we received news that Mirabelle was granted a $5,000 bond. We immediately jumped into action because our volunteer appreciation dinner was Saturday night and we wanted her to be there and surprise our community. We probably hit eighty four million roadblocks (I personally counted each one) BUT AT THE END OF THE DAY OLIVER PAID HER BOND AND SHE WAS RELEASED FROM IMMIGRANT DETENTION!! Oliver, Mirabelle and Kylie are all back together again-- right where they belong!! Oliver has been supported in every way possible as he's worked tirelessly to reunify with his wife and little girl. This was truly an effort that was made possible by the power of the people. Muchas gracias to everyone who came alongside Oliver and loved him supremely well in so many different ways. This is one of the most magnificent stories ever to witness. Thank you for being part of it. As she was eating she looked over at me and said that a few days before Christmas she was talking with one of her sons on the phone and he told her the whole family was together making tamales. The room was full of family, food and festivities. Her son also told me he had just found out his wife was pregnant! They were expecting a baby girl in a few months. I could tell by the look in her eyes she desperately wanted to be there celebrating with them. On Saturday night I want to throw a party to appreciate each and every one of you. Please join us for a delicious dinner, good conversations and a look into 2019 and where our community is headed. Today we received news from Piper over at American Friends Service Committee that a young family who was part of the caravan were passing through Colorado on their way to their family in another state. We were able to be part of welcoming them to Denver, if only for a short while by giving them a gift of cash to make their bus ride as comfortable as possible. I don't know about you, but I feel proud that I know people who care so much about complete strangers that we want to say, "Welcome! We are glad you are here!" 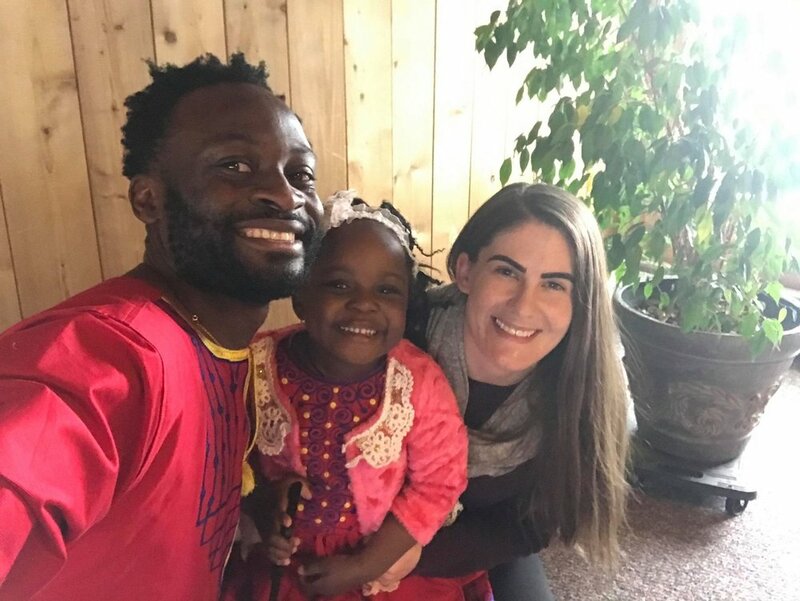 There may be more families like this coming through Colorado and you can be sure we wanna give them the same exact greeting. Stay tuned on ways to be part of a welcome team! Oh, and tune into Telemundo tonight to watch this story on the news. Join us and make a holiday card for someone who is locked behind immigrant detention bars this holiday season. A handmade card and candy bar will be given to each man and woman who is detained in the Aurora Immigrant Detention Center. Click here to find all the information. This is a powerful way to remind people they matter, they are not forgotten about and we do care about them. Thank you for sending hope and love to immigrants who are separated from their families during this holiday season. Jeremy Collins, THE Jeremy Collins, stopped by Casa de Paz and drew a unique mural on our wall. (Oh and he did it at no cost because he felt "inspired.") This guy travels around the world making it a more beautiful place with the art he creates. One of Jeremy's drawings was even on the cover of National Geographic! Men and women who are released from immigrant detention and welcomed to the Casa will see this as soon as they walk in. He drew us something dazzling and delightful -- just like each and every person who comes into our home. Shout out to Oliver! I was just out of the country for a couple of weeks visiting my parents who live in Germany. During that time I left Oliver in charge of the Casa. He, alongside our super star volunteers, welcomed THIRTY SEVEN men and women released from immigrant detention into our home. Guests from Bangladesh, Cameroon, El Salvador, Guatemala, India, Mexico, Nepal, South Sudan and Venezuela filled our home and I know each and every person felt special and cared for because of this man. “Most of us who have passed through the border and the detention centre have a bad impression of America and are not expecting any good from anybody,” he said, over a bowl of chili con carne that had been brought round by volunteers. A few weeks ago I read y'all an email from a mom who was desperate to come to Colorado so her son could see his daddy who was locked behind the immigrant prison bars. They drove in from out of state and we welcomed them with open arms to our home. After visiting the dad for only one hour, during which they separated by a glass window, they returned home not knowing if or when they would see him again. Well guess who showed up at the Casa several days ago? The dad!! He was released and stayed in our home while he waited for his family to come pick him up. I would like to give you an insight into one family's pain surrounding immigrant prisons. 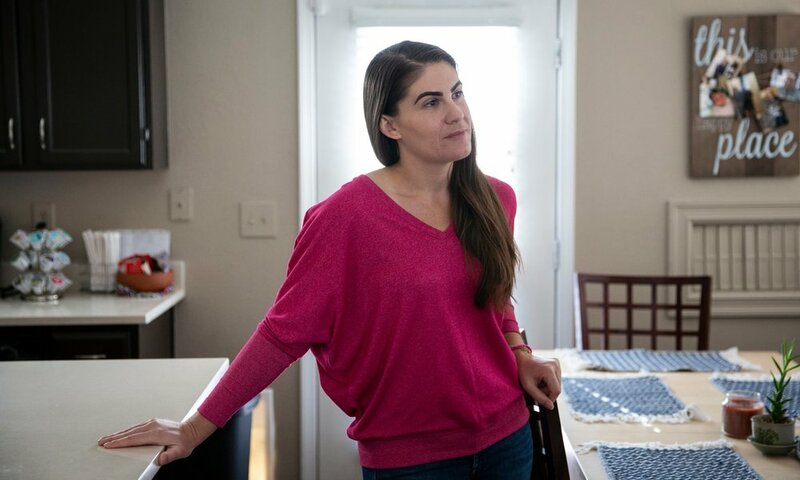 Listen to this message from Michelle, who had not seen her husband for months and whose children had not seen their daddy for months. We had the honor of welcoming them to Casa de Paz... because families belong together. 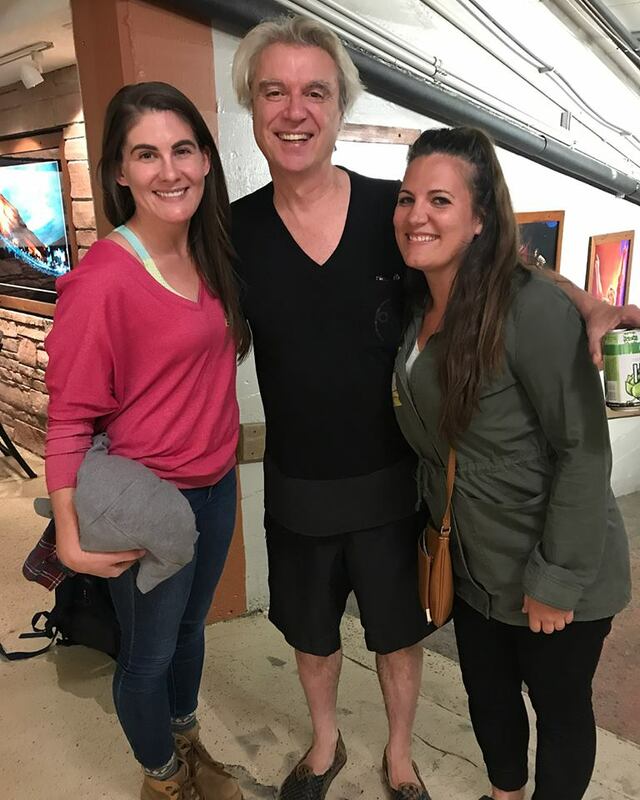 David Byrne at Red Rocks chooses the Casa! Breaking records, and receiving threats and celebrating birthdays oh my! Last week was busy busy at Casa de Paz! - I received my first death threat... yikes! But I am implementing new things to keep our home a safe and welcoming place. 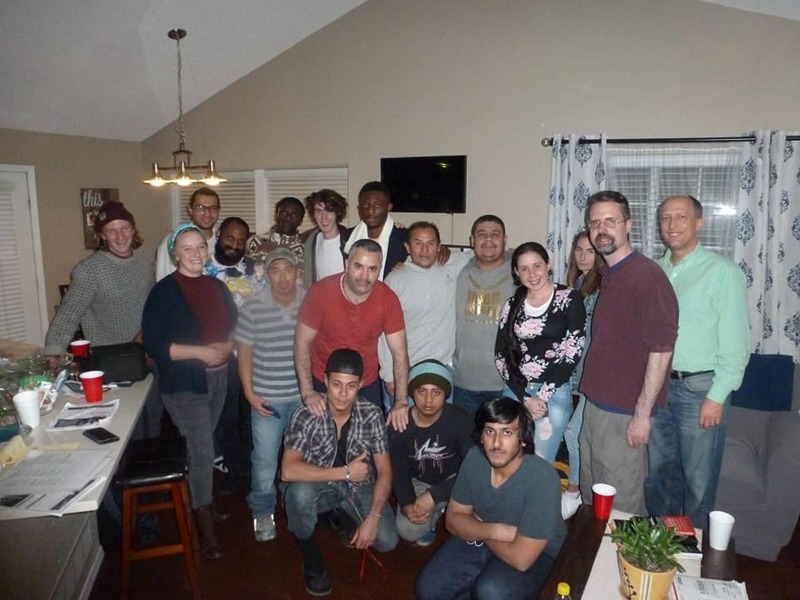 - Friday night I felt very loved when Casa volunteers threw a surprise birthday party for me -- and the icing on the cake was being able to celebrate it with a young lady who just got released from immigrant detention and whose birthday was the day after mine! In total we raised $45,876 to support families separated by immigrant detention. THAT is something to celebrate! "These moments of celebration make us pause and be mindful, and that boosts our well-being. Mini-celebrations can plump up the positive emotions which make it easier to manage the daily challenges that cause major stress." I'd love to hear how you chose to celebrate this accomplishment!